House and lot for sale in Tanza from 2M up! Welcome to Camella Tanza! Now you can own a house and lot in progressive Tanza Cavite that is just 40 minutes from the Mall of Asia and 25 from Tagaytay at very affordable prices! Houses and lots in Tanza are now available for sale starting at 2M! Camella Tanza has a wide selection of beautiful Italian-Mediterranean-inspired house models for you to choose from. The contemporary architectural design, materials and finishing of each house are intended to complement the nostalgic environment that feels comfortable, homey and yet familiar. All house models in Camella Tanza have either a built-in or optional balcony where you can take pleasure in having early morning coffee or late night get-together and enjoy the sunrise or sunset. The interior of every house model in Camella Tanza has been carefully designed to accommodate the needs of your family--for today and in the future. 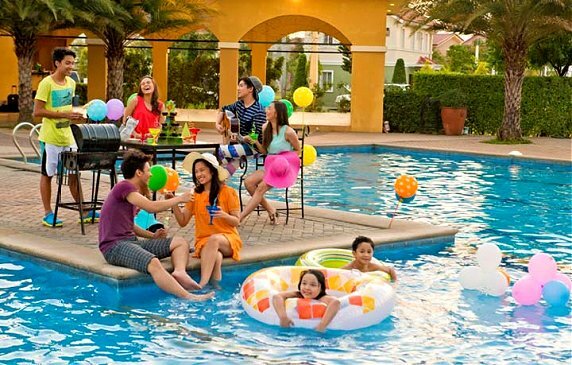 Every house in Camella Tanza is designed to provide the needs of your family. We made sure that your house is as comfortable and spacious as you want it to be. Your future home will have at least 3 bedrooms, 2 toilets and baths, and a space for your car. The wide kitchen and dining room are well laid out for gatherings and parties. High ceilings and many windows installed to allow the fresh air to enter and cool your beautiful home. 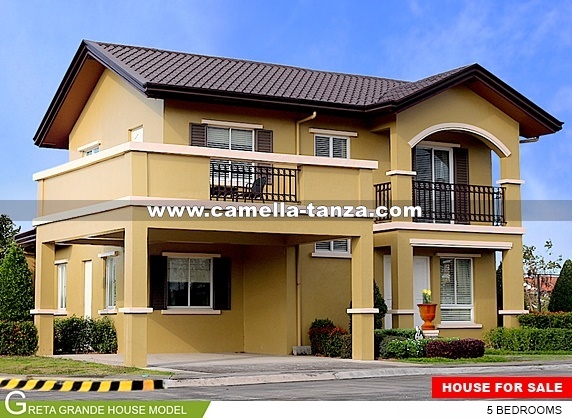 In Camella Tanza, house models have two storeys and at least three bedrooms for the comfort of your family and friends. The artist in you will enjoy designing the best layout of your house. For each floor, toilet and bath is conveniently situated to accommodate a full house. Let your inner artist shine and enjoy designing each room according to your preferences. In Camella Tanza life is what you want it to be! 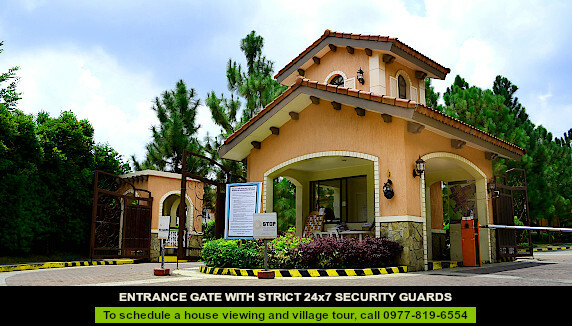 Camella Tanza in Tanza is a gated and secure community. The village is made more secure by perimeter fencing, a 24-hour CCTV at the entrance of the gate and a 24-hour roving security personnel within the village. Other amenities of Camella Tanza include playgrounds and pocket parks that will occupy almost a third of the entire estate, making it a sustainable, nature-friendly place for you and your family to live in. These amenities as well as Camella Tanza's proximity to the airport add value to your investment and increase the quality of life. Camella Tanza is being developed by Vista Land, the same company that built Crosswinds, a world-class Swiss-inspired exclusive community in Tagaytay City. Expect the same level of engineering expertise and customer satisfaction from Vista Land when you buy your house and lot in Camella Tanza. Our attention to quality and customer satisfaction has brought our company recognition for the fifth time as Reader’s Digest Most Trusted Brand under the Property Developer Category. We have received the Gold Award, a distinction signifying that it has excelled significantly higher than the competitors based on the results of the Trusted Brand Survey. Camella has redefined home development in the Philippines by creating ‘communicities’, innovative masterplanned city developments, where Filipinos can raise and nourish their families and their tomorrows, with vast properties that offer community structures and commercial establishments closer to a city than a mere residential village. To date, Camella has built more than 300,000 homes and maintains a powerful presence in Mega Manila and 36 other key provincial destinations and 95 cities and municipalities. Tanza is a municipality situated at the heart of Cavite and is only a couple minutes away from Alabang Muntinlupa, Las Pinas and Dasmarinas Cavite. Camella Tanza is in very close proximity to the boomix district of Dasmarinas and is very accessible via private or public transport. It will even become more accessible to other cities in the south soon due to the developement of the Cavite-Laguna Expressway (CALAX). Getting a home in Camella Tanza is truly a great investment since its affordability is combined with promising factors such as its progressive location, accessibility, and overall quality. Village Address: Camella Tanza is located in Tanza-Trece Martires Road, Brgy. Bagtas, Tanza Cavite, 4108, Philippines. For inquiries, e-mail us at inquiry@camella-tanza.com. Camella Tanza is a trademark of Vista Land, Inc. Copyright © 2019 Indigold Realty Corporation. The developer shall exert all efforts to conform to the specifications cited herein.